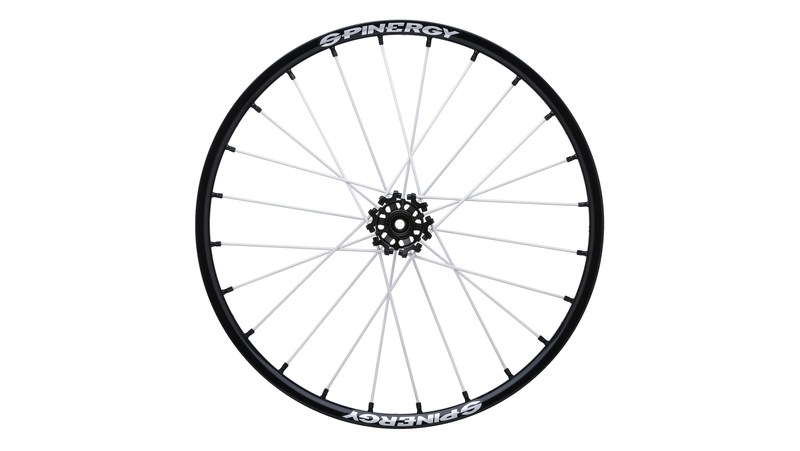 X-laced Sport Lite Extreme "XSLX"
The Sport Lite Extreme SLX X-Laced with patented 4mm PBO FIBER spokes provides added torsional stiffness and a quicker push response. 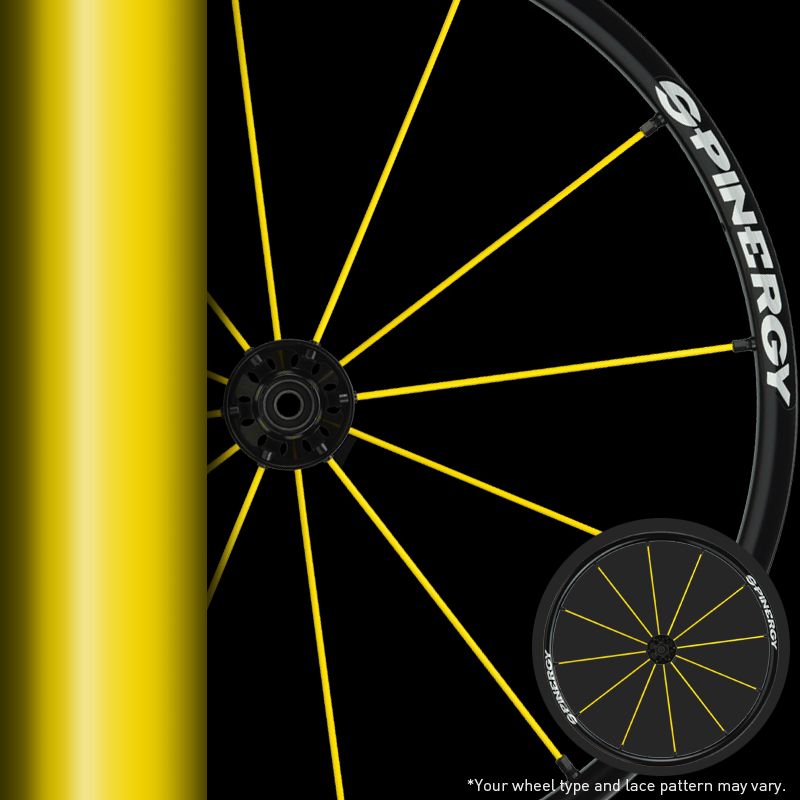 The latest design evolution from Spinergy that takes wheel performance to the next level. 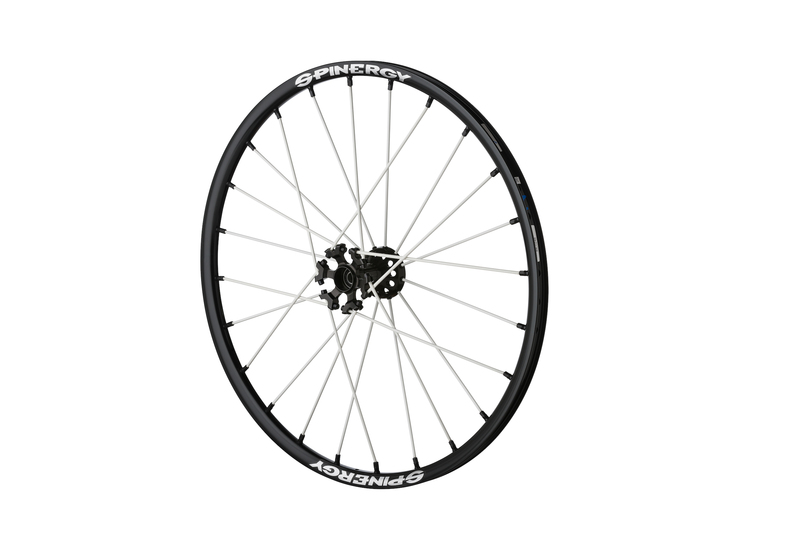 The Sport Lite Extreme SLX X-Laced with patented 4mm PBO FIBER spokes provides added torsional stiffness and a quicker push response. Developed for athletes wanting to turn up the dial a little more in wheelchair performance. 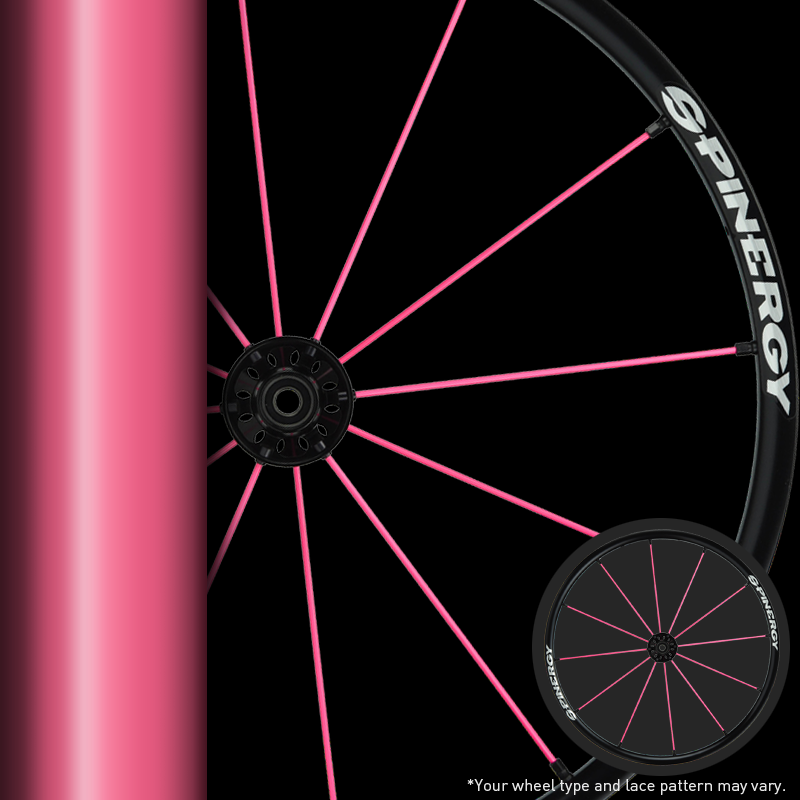 Includes exclusive Spinergy designed high performance lightweight CNC machined hub in black or polished finish. Spoke Colors Pink, Green, Orange, Black, White, Red, Yellow, Blue. Wheel Size(s) 24", 25", 26", 700c. 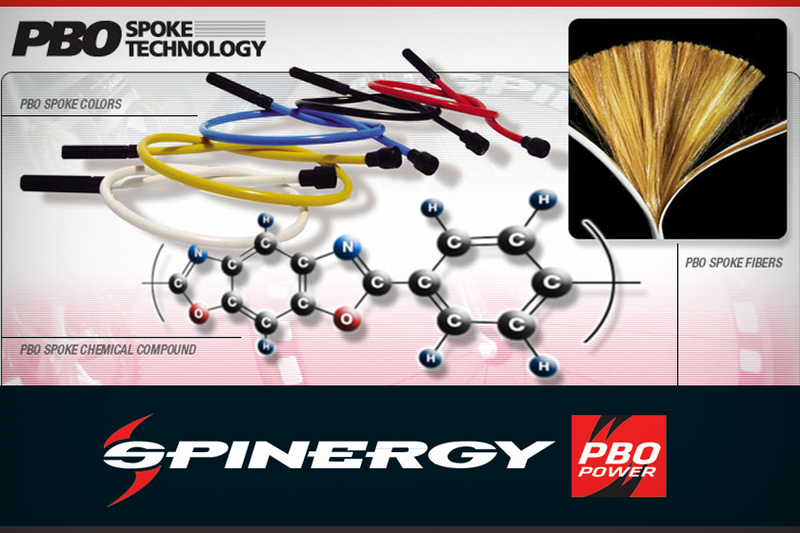 Spoke Specification X-Laced/Radial Hybrid Design laced with Spinergy patented PBO FIBER spokes. 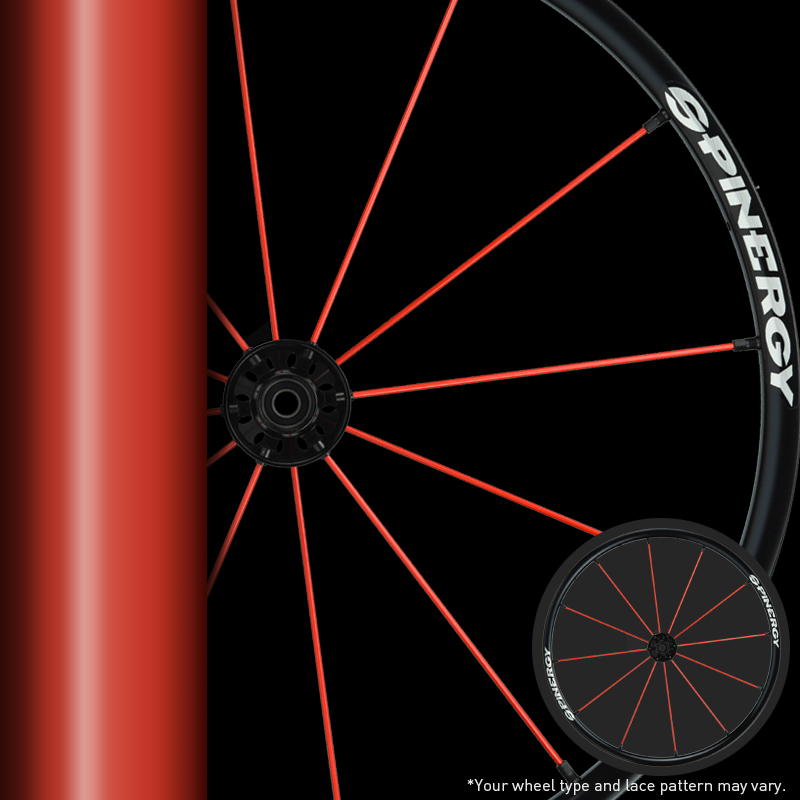 Lightweight aluminum, double-walled rim. Rivnut handrim mounting system compatible. 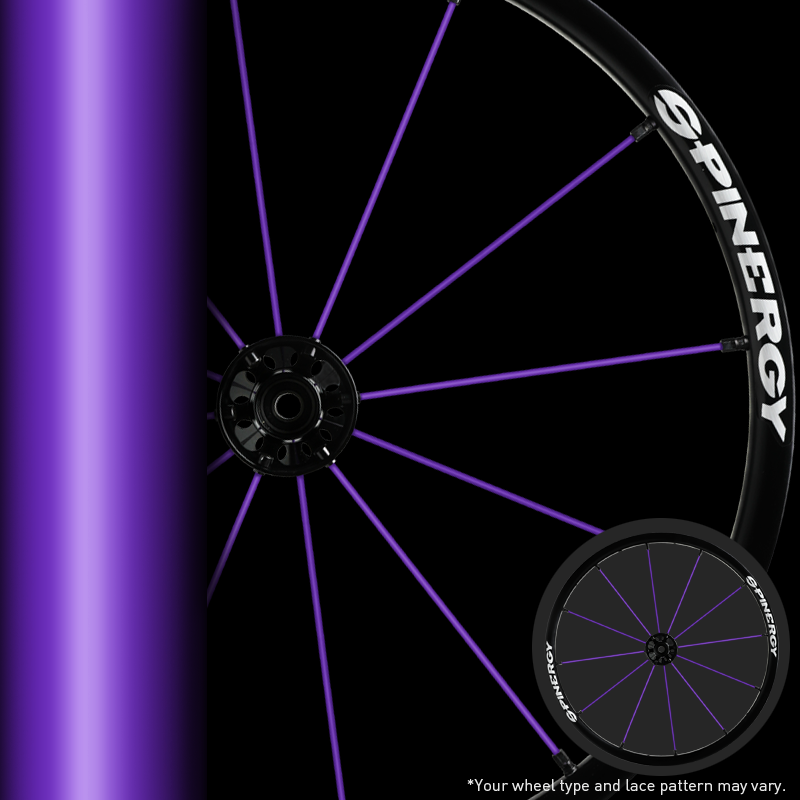 Available in 24", 25", 26" and 700c sizes. Weight 757g/wheel. Spinergy CAD designed, CNC machined from lightweight aluminum. X-Laced/Radial hybrid design. Colors: Black or silver. 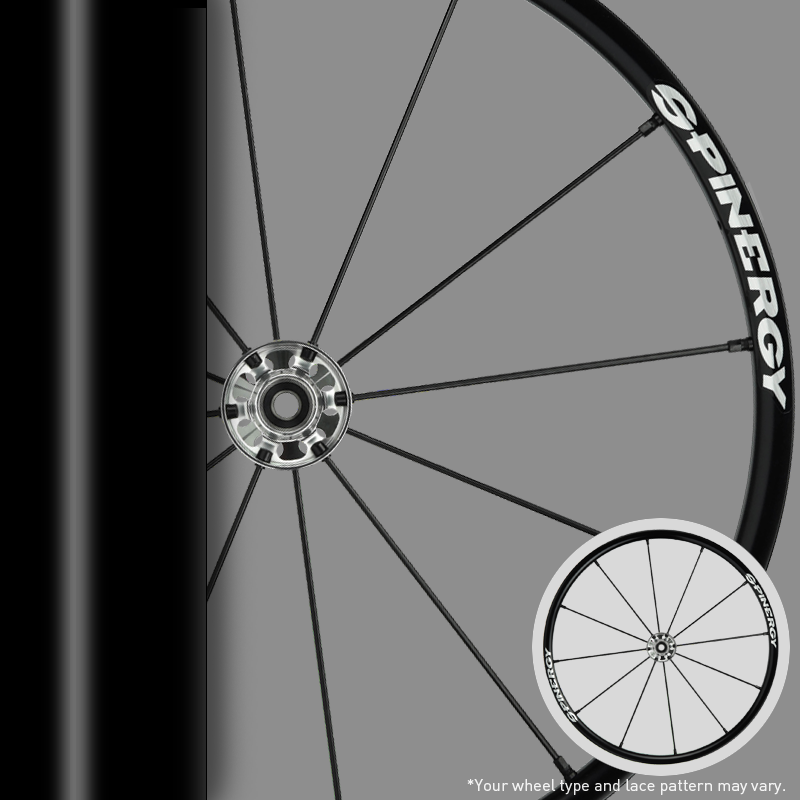 Bearings: 1/2" or 12mm. Sport Lite Extreme "SLX R-10"